Any pretence that it will work for MClaren at Rangers is gone. Come on, get Ollie- you are only wasting valuable games and points now. Admit you got it wrong. Unfortunately Ferdinand must also pay the price. All very sad, but incompetent decisions have consequences. Personal abuse edited out. Behave, or post somewhere else. DG. This an abysmal start to the season and i can't abide anyone taking joy in this, because they care about Ian Holloway more than Queens Park Rangers. If you're a WUM then congrats, job done! Your choice, i'll pay you out now to a charity of your choosing or we can double for on the original bet. Edit: Fair do, the swear filter is on the top of it's game this season. I wish the team were the same. Really? From the TF interview he virtually single handedly said it was LFs idea to get rid of Holloway. The fact that SMc was being talked about b4 we knew Ollie was going makes me think the board knew who they wanted from the start. So how did u hear that? The two statements are directly connected. Only whispers last night but LF wanted to go the "young, hungry" route but SMC was better for the profile. This would be worrying if it turned out to be true but, as I said, it was only a whisper. If I get another chance to speak to either Les or Lee Hoos after a game soon I will definitely ask, even if they feel they can't answer me. My struggle with the "young and hungry" manager would be Who? If SMC was offered a chance to rebuild his reputation by A.N. Other at the club I would only be able to hazard a guess at £250-300k p.a. at the most the way the money is now and probably a heck of a lot less, maybe £100-150k. I suppose it would be less painful if SMC was to be paid off early but it would set the bar very low for his replacement. I'm not going to call out people on their suggestions for who they think the next manager should be but if you think that a lot of those names suggested would want the job at the salary offered then you aren't really thinking it through. Popular "cheap" options would have to include Danny Cowley, Gareth Ainsworth and possibly Michael Appleton but would they want to risk running their ship onto the rocks at QPR? Leaving the obvious emotion out of what is happening, difficult as it is right now, leaves us in a very bleak place and, IMO, after last night, we could well be relegated this season. I am fortunate that I no longer have workmates to take the piss out of me and the few footy fan friends I have at the gym are fairly good about the vagaries of QPR and never gloat when it goes wrong for us so I guess I won't ever feel the sting of ridicule or suffer the hubris after a defeat. I am going to try my hardest from here on in not to have a go at the hot heads and knee jerkers as it is quite possible that it is affecting their lives in a way that mine isn't and I need to be mindful of that. I shall still be going to all the games and I will leave my season ticket on auto renew as I believe that whether it takes 3-4 seasons or 20 seasons our luck will turn again and hopefully I will still be alive and well enough to go and watch it. 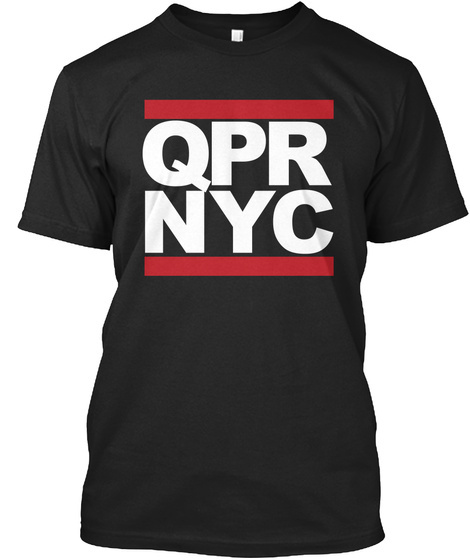 I apologise if I have offended anyone with my forthright opinions but, believe it or not, I am still as passionate about QPR as I was as an 11 year old and struggle to hold my temper when I see posts slagging off the club etc. SATCH THANKS FOR THE KIND WORDS-THE SAME TO YOU.WATCH ALOT OF GAMES FROM ABROAD DO YOU? PROPER FAN? I do not care about Ian Holloway more than the club getting results.I respect him though. I just think the people made the wrong appointment when Warnock was available,Hasselbaink was the wrong choice and in sacking Holloway the club made a mistake at a critical moment. The club needs advice when making appointments and I recommend getting Gerry Francis in some capacity. If the club caries on as is it will be relegated-of that I am certain. Yeah thanks, a few of us get together every game and watch via the streaming service. Obviously, it's not quite the same as being there in person but that doesn't seem to be of much use to a lot the people offering opinions. It was hard to give up a season ticket but being in the states is better for my family so i have to make do with that and just getting back for a few. Remind me when Neil Warnock was available? I'd be curious to know what West Brom fans think of Gerry Francis these days. Thank you Damien, and as someone who has felt the rasp of my tongue, it is appreciated. To be honest with you Damien most of us on here have seen some torrid times with QPR during the past decades and we're bl@#dy well not giving up now with just 4 games played in the new season! Bring on Wigan! Might be my imagination, but I seem to recall we once went something like 12 matches without a win (or maybe even a draw?) under Don Howe - we were reduced to mocking opponents who only managed to beat us 1-0. We finally got the win and it turned the season around and we did quite well, but at the time it seemed hopeless. I won't despair just yet. ...and having been there for the Milk Cup final and Vauxhall Motors I find it hard to believe the WBA game could have been worse than them? There have been many worse games that I have attended since 1966 than those we have seen this season. Plucked out of the air; a 4-0 home defeat to Chelsea in the freezing rain with the ignominy of their last goal being a hammered clearance from Mike Kelly which struck Bobby Keetch on the head, knocking him out, and rebounded back into the goal. Reading at home in the Simod Cup was a particularly galling defeat as both teams were utter, utter shite and Johnny Byrne stopped coming into the penalty area after a bloke just to the right of the Loft goal threatened to get on the pitch and take his fücking head off if he came anywhere near the goal. Vauxhall Motors as mentioned above. Warnocks last game at MK Dons... so many more, much worse than we have seen so far. IMO.The Don Howe/ Stewart Houston years don't bear close scrutiny either.